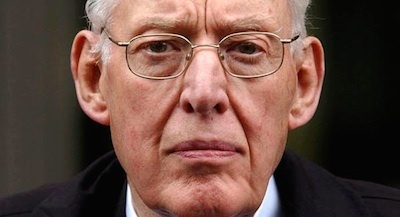 Ian Paisley had a monstrous ego. Combined with his blazing, all-consuming ambition that ego fuelled and drove him throughout six decades. He had a supreme belief in his own abilities and the rightness of his opinions. That uncompromising self-belief made him the most divisive figure in Ireland in the second half of the twentieth century. If he was in a Church he had to run it. If he was in a political party he had to run it. If he was a unionist he had to run unionism. In the end he did all that. He established his own Church, his own political party and then became top dog in unionism. If you disagreed with him in religion he expelled you from his Church, if you disagreed in politics he threw you out of his party. All opponents were to be ground under his heel. Regrettably the vehicle he chose to advance his ambitions was religion. It was an astute choice because bellowing biblical quotations made it difficult to criticise him. After all, people say everyone is entitled to their religious opinion and it’s bad form to deride someone else’s religious belief even if it justifies poisonous politics. Mind you, that never prevented Paisley from fulminating against his pet hate, mythical doctrines of the Catholic Church which he invented as targets for his followers. By marrying his toxic views on religion with the politics of the north of Ireland Paisley aroused demons that had been sleeping for a very long time. His inflammatory rhetoric was directly and consciously copied from nineteenth century Ulster Protestant evangelicals like ‘Roaring’ Hanna whose statue used to dominate Carlisle Circus in Belfast opposite the biggest Presbyterian church in the world. Like those evangelicals Paisley railed against non-existent conspiracies threatening ‘the Protestant people’. Unionist leaders looked on in disbelief in the 1960s as Paisley resurrected the sectarian demons of northern Ireland as he tried to make unionism synonymous with Protestantism - naturally his version of Protestantism. His sectarian preaching, marching and flag-waving earned him a criminal conviction but his dog collar earned him sympathy from gullible followers. The first major riot he incited was in Divis Street in September 1964 about removing a small tricolour from the window of the Republican Clubs election office. The disturbances which followed were the most serious for 30 years. Not for the first time Paisley walked away saying , ‘Nuffing to do with me guv.’ But it was. He had lit the blue touch paper of a high-explosive firework which produced a detonation that reverberated for more than 30 years. During all those years Paisley strove mightily to take over unionism, something which seemed improbable in the 1960s but his was the loudest voice as he castigated every unionist leader as a traitor and a Lundy. He worked tirelessly to prevent any unionist leader making a deal with nationalists. He condemned Sunningdale as a surrender to Dublin. He cooperated with loyalist terrorists. He would stop at nothing to block progress. Many of his allegations and accusations were nonsensical but his gullible followers believed him because of that dog collar. In the end when he became top dog in unionism in 2005 secure in his belief that he was the only unionist leader who could make a deal, he then went into power-sharing with Sinn Fein, a somersault which he had condemned all his predecessors for contemplating. Of course if Paisley had not been determined to be the leader of unionism at any cost a political deal could have been done decades earlier but someone else would have done it and he could not stomach that. People forget that while Paisley reserved his strongest condemnation for the IRA and the Catholic Church, even at times claiming preposterously that they were the same entity, he devoted much of his life to defeating other unionists, especially those he called ‘the fur-coat brigade’ who held him in justifiable contempt. His final somersault was too much for his Church and his party. They finally twigged it was all about him. The Church he founded deposed him as moderator and the DUP dumped him ignominiously. Nevertheless northern Ireland still lives with the demons his demagoguery awakened. It will be a generation before they are put to sleep.